After addressing the World Economic Forum's (WEF) annual meeting in Davos, Switzerland on Wednesday, Chinese Vice President Wang Qishan had a dialogue with Klaus Schwab, the founder of WEF. UN Secretary-General Antonio Guterres warned on Thursday that climate change is the most important systemic risk for the near future, but the political will to address it is slowing down. Japanese Prime Minister Shinzo and German Chancellor Angela Merkel called for rebuilding the global trade system in a multilateral world and the significance of data protection in their special addresses during the World Economic Forum in the Davos, Switzerland on Wednesday. U.S. Secretary of State Mike Pompeo said on Tuesday there remained “an awful lot of work to do” to achieve the denuclearization of the Democratic People's Republic of Korea (DPRK) but he anticipates further progress by the end of next month, when the U.S. and DPRK leaders are expected to meet for a second summit. The 2019 World Economic Forum (WEF) annual meeting wrapped up Friday at the snow-covered town of Davos in Switzerland. Chinese Vice President Wang Qishan on Wednesday called for further development as a solution to addressing imbalances in the process of economic globalization. After making a keynote speech in the World Economic Forum's (WEF) annual meeting in Davos, Switzerland on Wednesday, Chinese Vice President Wang Qishan gave his opinions on Chinese economy, globalization, the market economy, and China-U.S. relations. The pull-out of the U.S. delegation, the no-show by Theresa May and Emmanuel Macron had a domino effect, rooms were left vacant, sessions unfilled, buzz diminished. The annual meeting of the World Economic Forum (WEF) has concluded on Friday in Davos, Switzerland. The forum was the place where different views found common ground, according to Sergey Komyshan, Executive Director of Sibur, which is Russia's largest integrated petrochemicals company. China has gradually become a major focal point at Davos. The relations with the Middle East are also a main focus of discussion. China has traditionally played a small role in the Middle East, but as an engine for Asia's economic growth, China has recently become a key influence across the region. South Africa has put digital transformation at the top of the country's plans and hopes to explore possibilities for more collaboration on e-commerce together with a Chinese company, according to Stella Ndabeni-Abrahams, South African Minister of Communications. Technology has always been a big part of Davos meetings, and this year is no exception. This year's World Economic Forum (WEF) comes amid a slew of uncertainties across the world. From trade disputes to Brexit, world leaders are preparing themselves for the uncharted territory lying ahead. One topic that garnered the attention of global CEOs and economists at Davos is whether the Chinese economy is heading for a sharp slowdown. Another is how the Chinese economy will cope with slower GDP growth as the government continues to push for economic reform. AI, robotics and other forms of smart automation have the potential to bring great economic benefits, but there are also concerns that they may displace many existing jobs. However, Jonas Prising, CEO of Manpower Group, argues that, instead of eliminating jobs, many companies are using technology to expand their workforce. Global big names have gathered in Davos and shared their insights on China's economic outlook during a session on Thursday. Despite of some pessimistic views that China's economy will slow further and sharply, Nielsen N.V. and McKinsey are bullish on Chinese economy. Whenever economic growth slows down, reform speeds up, and that's the truth in China, one of the country's top securities officials said on Thursday at the 2019 annual meeting of the World Economic Forum (WEF) in Davos, Switzeralnd. Beverage giant Coca-Cola continues its ambition to recycle and invest in R&D, CEO James Quincey said at Davos event about the company's latest efforts to diversify its products to meet consumer preferences. IKEA, the world's biggest furniture group, is establishing a new headquarters in Shanghai. Jesper Brodin, CEO of the company, discusses in a Davos event the retailer's growth in Asia and its ambition to become carbon neutral. Globalization 4.0 is already here. What is it and who might take the lead? When leaders from a cross-section of industries around the world gather in Davos, agriculture, one of the most ancient human endeavors, continues to attract fresh attention, especially when modern technology is helping it evolve in a way that has never happened before. On the final day of this year's World Economic Forum, two topics emerged as a trend and challenge in today's world: digitalization and artificial intelligence (AI). WEF: Is artificial intelligence a tool or a monster? The topic of artificial intelligence (AI) has always drawn wide attention for its benefits and potential risks. Questions concerning how AI could be regulated and what the rules should be triggered intense debates from panelists at this year's World Economic Forum (WEF). China missed the global semiconductor boom in the 1960s, but the fledgling AI technology might give its tech industry a second chance. What is the solution to globalization imbalance? Protectionsim and unilateralism apparently aren't. Globalization 4.0: What are the key challenges facing us? It is no longer acceptable that the fourth industrial revolution should only benefit a certain group of countries. In this new era, HK is seeking a new development path. Why China can't simply abandon the use of coal? Because it takes time, and it isn't all bad. How the global outlook reflects China's BRI? CGTN's Tian Wei spoke to a diverse panel on China's BRI, aiming to reflect the global outlook of the project. What's the nature of dynamism between China and Armenia? Culture and civilization is the mutual base of development for China-Armenia ties. Armenia sees technology development as its top priority. 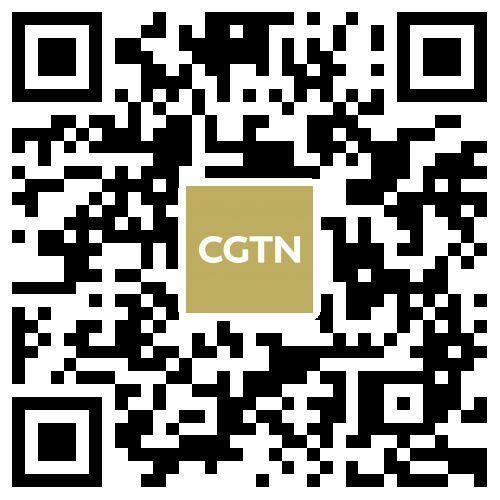 Xiao Yaqing, chairman of the State-owned Assets Supervision and Administration Commission, talks to CGTN on how reform matters to China's SOEs. Chairperson and co-founder of Schwab Foundation for Social Entrepreneurship, Hilde Schwab believes there are too many people thinking about themselves, rather than the people of their countries and the world. We need to respond to skepticism not with words, but with action, with what we've done. Is AI really a threat? Listen to Dr. Kai-fu Lee's opinion. Editor's note: This article is based on an interview with Cui Tiankai, Chinese Ambassador to the U.S., by CGTN's Tian Wei. ‍Editor's note: This article is based on an interview with Cui Tiankai, Chinese Ambassador to the U.S., by CGTN's Tian Wei. Editor’s note: The article is based on an interview with David Aikman, China Chief Representative Officer and member of the Executive Committee of the World Economic Forum. A 6.6-percent growth rate in 2018 makes China the 12th fastest economy in the world, only after India and Vietnam, if excluding the rest of the world's minor economies. How should investors map out strategy amid geopolitical tensions? With the uncertainty over China-U.S. bilateral trade relations and its overall impact on the global economy, how are seasoned investors mapping out their strategy? Jim Breyer, the founder and CEO of the global venture capital firm Breyer Capital, can provide insight. With a long track record of investing in China for almost two decades, Breyer believes no one ends up a winner in a trade war. Global growth is expected to moderate this year. InterContinental Hotels Group's (IHG) two biggest markets, the United States and China, are also in the trade tussle which may affect their growth. However, IHG CEO Keith Barr is still bullish on China's economy with ambitious expansion strategy for the coming years. Thursday is Day 3 at the annual meeting of the World Economic Forum (WEF) in Davos. World leaders and business elites have gathered in Davos to discuss globalization 4.0, a buzzword that refers to the new wave of globalization in a digital world. They have plenty of pressing issues to talk about this year. Motor racing is often seen as a dangerous sport, known for its crashes and intense speed, but Jean Todt, president of the International Automobile Federation (FIA) believes technology used in the sport can be transformed into lessons for road safety. Editor's note: Yang Shu is the director of the Institute for Central Asian Studies, Lanzhou University. The article reflects the author's opinion, and not necessarily the views of CGTN. Editor's Note: Xu Qinhua is a professor at School of International Studies, vice dean at National Academy of Development and Strategy, and director at Center for International Energy and Environment Strategy Studies, Renmin University of China. The article reflects the author's opinions, and not necessarily the views of CGTN. We believe in globalization. It's helped a lot of countries grow in the past 30 or 40 years, especially countries like China. But it's not inclusive,” says Jack Ma, founder of e-commerce giant Alibaba Group, at Davos on Wednesday. Indonesia's economy has enjoyed steady growth in 2018 and seems it is not going to run out of steam anytime soon. Two of the brightest spots are manufacturing and e-commerce while the latter may be key for the country's economic transformation, according to Airlangga Hartato, Indonesia's Minister of Industry. The Clean Cobalt Framework is a project announced by Eurasian Resources Group (ERG) late last year. It aims to boost the industry's sustainability and to protect children's welfare in mining countries. Benedikt Sobotka, CEO of ERG, says the company is fully committed to improving social inclusion and building a sustainable and responsible business. It seems that the gloomy economy has little impact on people's enthusiasm for traveling, according to the CEO of Booking.com, who expresses optimism about the travel industry. We are living in a world of uncertainty, countries should cooperate for the common good. World Economic Forum (WEF) annual meeting kicked off in Davos on Tuesday, with the theme of Globalization 4.0: Shaping a Global Architecture in the Age of the Fourth Industrial Revolution. Over 3,000 participants around the world are taking part in over 350 sessions and workshops. Swiss banking giant UBS released a white paper last week, saying that China is driving the global economy and creating opportunities. UBS Chairman Axel Weber expects a soft landing of the Chinese economy and more stimulative measures from the Chinese government in 2019. A new survey from the audit giant PwC shows that there is a sharp drop in confidence in the world economy among global CEOs. Officials and business leaders gathered at Davos on Tuesday to brainstorm economic and other global issues. They called for governments to act together to embrace Globalization 4.0, which is also known as the 4th Industrial Revolution, at the opening ceremony of the World Economic Forum (WEF) annual meeting. How does energy conglomerate match competitiveness with size? China Energy Investment, one of the world's largest power companies, is trying to make traditional energies cleaner, as well as help renewables grow faster, according to its President and CEO Ling Wen. In 1492, Christopher Columbus sailed the ocean blue, landing in the Americas while trying to reach India. He brought back the news of an exploitable land of riches and resources to King Ferdinand of Aragon and Queen Isabella of Castile, the rulers of Spain. Columbus set off a frenzy of imperial conquest among Old World Europeans. Are we ready for Globalization 4.0? The annual meeting of the World Economic Forum (WEF) is taking place from January 22 to 25 in Davos, Switzerland. The theme this year is Globalization 4.0: Shaping a Global Architecture in the Age of the Fourth Industrial Revolution. With CFO faced with extradition risk, Huawei called for global cooperation and views from the business community at the World Economic Forum in Davos on Tuesday. The International Monetary Fund (IMF) on Monday announced that it has lowered its 2019 projection for global economic growth. The IMF now projects a 3.5 percent growth rate worldwide for 2019, below the 3.7 percent expected last October. Amid trade tension and high uncertainties, International Monetary Fund (IMF) cut the global economic growth forecasts to 3.5 percent for 2019 and 3.6 percent for 2020, 0.2 and 0.1 percentage point below as compared to last October's projections respectively, according to the World Economic Outlook (WEO) update released on Monday. Old, white and male: Are you represented by the Davos elite? ‍The 49th World Economic Forum (WEF) Annual Meeting will be held from January 22-25 in Davos-Klosters, Switzerland, under the theme of Globalization 4.0: Shaping a new architecture in the age of the 4th Industrial Revolution. One of China's most foreigner-friendly cities continues to fulfill that reputation. Yiwu in eastern Zhejiang Province, just south of Shanghai, is where you can find an eclectic mix of cultures and ethnicities. But the more diverse the city grows, the louder the call for more needs and services.